Her Majesty’s Revenue and Customs (HMRC) has today informed the RYA that it has lost its defence with the Court of Justice of the European Union of Case 503/17. The court has ruled that the United Kingdom of Great Britain and Northern Ireland has failed to fulfil its obligations under Council Directive 95/60/EC of 27 November 1995 on fiscal marking of gas oils and kerosene (OJ 1995 L 291, p. 46). 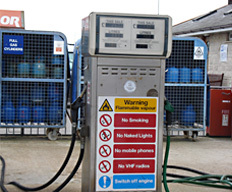 The European Commission took action against the UK as it considers that, by allowing the use of marked fuel for the purposes of propelling private pleasure craft, the UK has failed to fulfil these obligations. Today’s judgment means that, while the UK remains subject to the Fuel Marker Directive, the UK must bring its practices into line with this ruling. HMRC is now examining the judgment and will announce how and when the UK will adjust its practices in due course. The RYA’s Cruising, Legal and Government Affairs team is now analysing the full impact for our 112,000 members and the recreational boating community – and plans to meet with HMRC to discuss the next steps. The crux of the matter is ensuring the continued availability of diesel for the leisure boating community. RYA members will be kept informed as the situation develops via the RYA Current Affairs hub.